The DIFC is the first jurisdiction in the region where a non-Muslim individual can register a will under the international recognized Common Law principles. At the moment, the distribution of assets of the deceased is guided by UAE federal laws such as the Personal Status Law, Civil Transactions Code and by public order. We were fortunate enough to have Cynthia Trench from Trench & Associates give us an overview about this topic. Below is a brief summary of some important information that we gathered. The DIFC Wills and Probate Registry marks the introduction of a new set of rules relating to succession and inheritance matters for non-Muslims with assets in the UAE. The DIFC Wills and Probate Registry provides a mechanism for non-Muslims with assets in Dubai to pass on their estates according to their wishes. The person making the will (testator or testatrix) must have reached the age of 21 in order to prepare a will and must be a non-Muslim. However, there is no residency requirement and therefore non-UAE residents can also register a will in DIFC. The assets dealt with under a DIFC will, are limited to only Dubai assets. Therefore, any assets held in other Emirates or outside the UAE cannot be dealt with under a DIFC will. The DIFC will can also cover guardianship if the testator/testatrix has children living with him/her in Dubai. The rules governing the Wills and Probate Registry complement existing UAE laws on inheritance for non-Muslims and provide non-Muslims with the option and right to choose the way in which their estates are distributed. The DIFC Wills and Probate Registry will be within the DIFC jurisdiction and will work with the DIFC Courts for the production of grants and court orders for the distribution of assets. As the grant is issued by DIFC Courts, there is no need to go to the Dubai Courts, as it is directly enforceable. 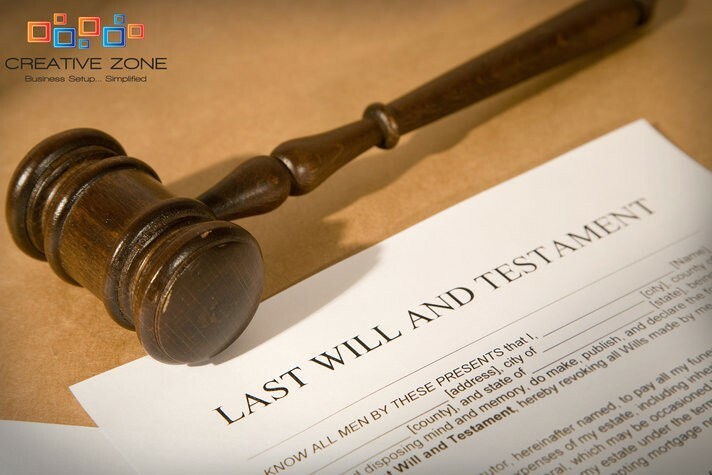 Wills are documents that should be prepared by a qualified and licensed lawyer. As mentioned on the Registry website, a “home drafted will may be invalid or ineffective, causing unnecessary burdens on your executors and beneficiaries.” It is worthwhile to consult a qualified and licensed legal consultant or advocate. You should obtain a signed declaration form from any guardians nominated in your will. Your lawyer should assist you in ensuring that this declaration is in the correct format. Book an appointment at the Registry. Either your lawyer or yourself can book this. Attend your appointment for signing and registering your will at the Registry. The execution of the will would be in the presence of a Registry officer and one witness that you choose. This is in order to reduce the risk of challenges to the validity of the will. Your will is stored electronically at the Registry as the original for the remainder of your lifetime (up to 120 years). It is extremely important to remember that only licensed legal consultants or advocates can give legal advice and will writing is considered a part of the legal services provided. Established in 1996, Trench & Associates is a boutique law firm that delivers a bespoke quality service using a progressive, strategic and solution driven methodology while at the same time, relying uncompromisingly on ethics, integrity and professionalism. Trench & Associates is a full service law firm that specializes in the Corporate, Commercial, Property and Private Client sectors. They aim to provide a high quality service, to find out what their clients want and to achieve it. Please contact Cynthia Trench at ct@trenchlaw.com for any questions relating to the DIFC Wills and Probate Registry.